BRANDON, MB – Brandon University (BU) is pleased to announce a significant community contribution to the newly opened Healthy Living Centre. Drs. 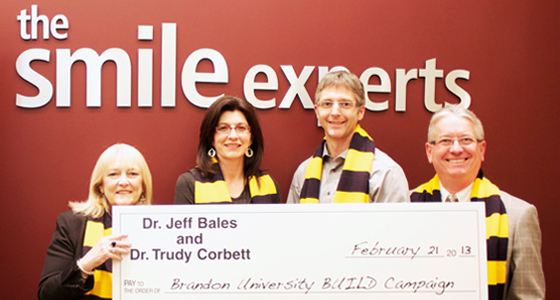 Trudy Corbett and Jeff Bales have given $100,000 towards the completion of the 24.3 million dollar project, which opened to the public in January with construction to be completed this spring.